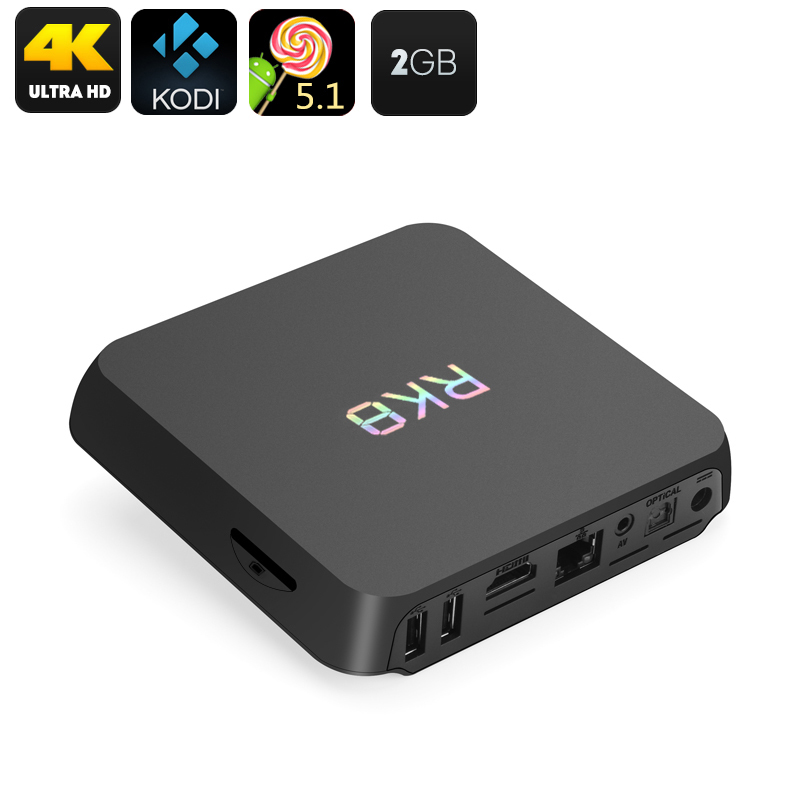 Successfully Added RK8 Android TV Box - Android 5.1 RK3368 CPU, Octa-core 2GB RAM, Kodi 15.2, 4K Decoding, 4K Resoltuion to your Shopping Cart. An Octa Core CPU, PowerVR GPU and 2GB RAM ensure a stunning performance with 4K support and resolutions. The RK8 is your TV viewing solution brining free entertainment, 4K decoding and resolutions and access to the largest repository of apps and games via the Google Play store. All available at fantastic prices and ready to go out of the box. The RK8 TV Box achieves an impressive performance that due to an Octa Core RK3368 ARM Processor and a PowerVR GPU that clocks at 700MHz. In short this means you will have a smooth experience when using whether watching HD movies, playing games or surfing the web. With 8GB of internal memory and option to boost this by an extra 32GB with the SD card slot you have plenty of expandable storage without having to worry. With Kodi preinstalled and coming with an HDMI cable the RK8 TV Box has everything you need to get started and allows you to transform your TV into a Smart Media center that will entertain the whole family. Simply connect it to you TV and home network and let the fun begin. Kodi 15.2 brings your TV one of the best media centers with an almost limitless number of channels and content for free. With the RK8 you can catch all the best TV shows, download golden classics or watch the latest blockbusters in the comfort of your home without any paid subscription services. Using an Android 5.1 OS this TV box brings a familiar user platform that most owners can operate with ease, its menu and icons can be navigated via the accompanying remote control or you can add a mouse and keyboard via the USB slots. With the Google play store there's an app for almost everything and a whole load of games to boot. The RK8 Android TV box comes with a 12 months warranty, brought to you by the leader in electronic devices as well as wholesale TV Boxes..